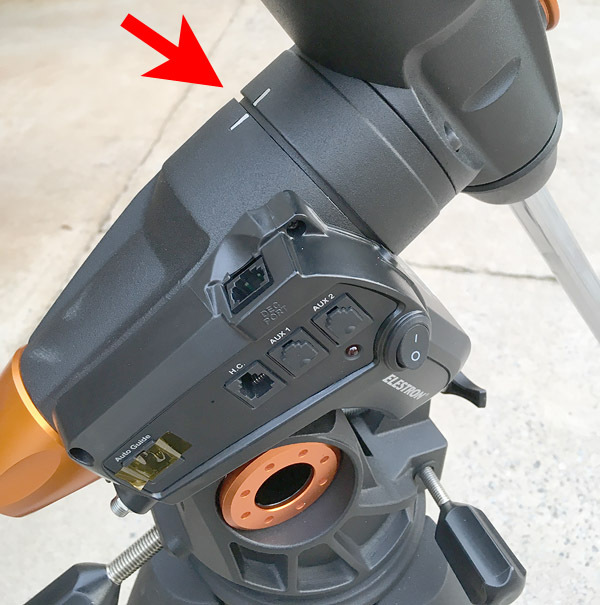 Bearing Upgrade in RA for Celestron Advanced VX Mount now offered! Upgrade your Celestron Advanced VX German equatorial mounts RA with the highly sought-after Japanese tapered roller bearings. This upgrade we install and adjust to increase maximum exposure time without the hassle of using a guidescope. Increases performance , reduces load drag, and decreases resistance. Now you can have the most portable computerized German Equatorial mount with improved performance right out of the box! (Adding this upgrade may add one to three additional days to your orders shipment processing). After performing this upgrade for several customers and employees mounts and seeing the dramatic improvements we knew we should offer this to our customers. If you would like to arrange for your current mount to be upgraded please call or email for authorization. All shipping costs will need to be covered by the customer. Edited by OC Telescope, 27 June 2018 - 07:36 PM. hi, thanks for offering this. Is this price and upgrade done for both axes and is it a 'kit' so we can do ourselves or need to send in? thanks. The Bearing replacement is for the RA Axis only, we will also optimize the Dec axis tension adjustment properly. This makes a HUGE difference. You must send your mount in or order the upgrade with a mount and we will install and adjust before it ships! Edited by OC Telescope, 27 June 2018 - 04:07 PM. So the $139 price is installed then correct? We pay to ship it to you and back. What is the approx turn around time? Yes, this is the Installed and adjusted price. Currently the turn around is 3 to 5 working days at the store plus transit time to and fro. Feel free to call us to setup the upgrade at 888-471-9991, you will be happy you did! Is this upgrade compatible/available for the CG5? Although only the RA head tracks the objects does the procedure include replacing the sticky grease in the both RA and DEC with Super Lub ? How about replacing the worm drive bearings, are these no longer causing bumps in long AP exporsures ? I’ve adjusted RA and DEC gear backlash and DEC bearing for a noticable improvement and can bring my AVX in anytime for your bearing upgrade. In the OC ..... BP. Many people feel that the dec axis is the weak spot of the AVX and needs a bearing. On a positive note, the AVX GoTo works fine with this AT80EDT scope. When PHD2 tracking is used, DEC tracking option is OFF, guiding from 1 to 2-1/2 minutes is pretty good .......... most of the time. Thanks OC Telescope for the good job upgrading my AVX, both the DEC and RA axis spin free making it easy to balance, the motors seem quieter and overall the movement is much smoother. GoTo is fine so I took 60 second, 120 and 180 second exposures of IC434 but the humidity is over 90% so I cannot comment on tracking until sky conditions improve. They replace the RA roller bearing with a high tech tapered bearing, degrease everything & adjust everything on the DEC and RA axis. It is not possible to upgrade the DEC to roller bearings. Check youtube for all the AVX glitches but this upgrade is a super bargain with excellent results. Edited by b.bill.p, 22 January 2019 - 12:04 AM. Good nights along the beach are rare so I have not performed the Celestron PEC procedure but took advantage of a good sky to take 120 x 60 second and 120 x 90 second exposures of IC434 and a night of the Blood Red Wolf Moon Jan 20 with VG results. I hope this is an appropriate posting -- although I am a vendor (of something entirely different) I have no connection with Orange County Telescope. I had them do this to my AVX. So far I've only had it out once, but did perform PEC training and got some measurements. I wasn't expecting miracles because, as they noticed, my AVX was already in better than average condition; it had had a professional lubrication and adjustment about 4 years ago. - The RA axis is much easier to turn, and seems smoother; the telescope is much easier to balance. - Total periodic error is 15" instead of 25" and is more like a sine wave (lacks a steep slope that used to be there). This surprised me because the bearing is not a source of periodic error; this must be from the overall adjustment that they did. - PEC training went smoothly. - Even without PEC training, I had no trouble achieving 1.3" (RMS) guiding on the first try. This was probably seeing-limited, since the seeing was not too good. The mount was carrying an AT65EDQ and a 60-mm guidescope. I suspect the benefit will be bigger for people using heavier telescopes and people whose AVXs were not in tip-top shape already. The only visible change to the mount is that there's a bit of space between the two index marks now, because the new bearing takes up more space (see picture). Nothing is left open to the air. I've suggested they affix a label describing the modification. Worth it? Definitely! Not a gigantic change, but since I plan to keep using this AVX for a long time, I think this is a beneficial upgrade. I should add that many people's dec axis is way too stiff. They adjust that. I had already adjusted mine. It is stiffer than mounts with roller bearings, but not as much so as if it were not correctly adjusted.